WASHINGTON — Arlington County has denied a request from the family of Bijan Ghaisar to release the 911 call made after a hit-and-run crash he was involved in before a police chase ended with U.S. Park Police fatally shooting him. The 911 call was made at about 7:30 p.m. on Nov. 17, 2017, after Ghaisar’s Jeep Cherokee was involved in a fender-bender on Slater’s Lane, in Alexandria. The call was processed through the Arlington County dispatch system. 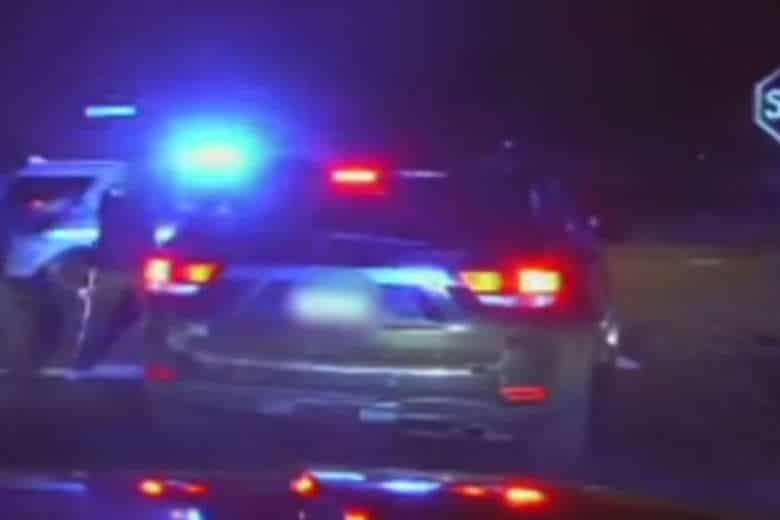 About 10 minutes later, after Park Police chased Ghaisar’s Jeep down George Washington Parkway, he was apparently shot nine times, according to dashcam video released by Fairfax County police, who assisted in the chase. What remains unclear is why the park police chased Ghaisar. The Arlington County Emergency Communications Center said in a letter dated Jan. 29 that the county was exempt from mandatory release of the 911 call, because it was part of an ongoing criminal investigation. In a letter sent Feb. 9, Connolly pointed out that Fairfax County police have already released dashcam video of the chase and fatal shooting on Fort Hunt Road. “You would be the only Virginia public body engaged in criminal law enforcement activities to refuse to provide any responsive documents,” Connolly wrote to Sherri Sealock, quality assurance manager of the Arlington agency. Shortly after the shooting, the U.S. Park Police transferred the investigation to the FBI. The U.S. Attorney’s Office in the District of Columbia is overseeing the investigation, along with the civil rights division of the Justice Department. Federal prosecutors in Alexandria recused themselves. The park police and the FBI have not identified the officers involved in the chase and shooting, nor have they said why they chased Ghaisar’s vehicle. During the chase, Ghaisar stopped twice along the parkway but sped away when officers approached his car, with guns drawn. It is not known why Ghaisar, who had no criminal record, repeatedly drove away after stopping during the pursuit. Ghaisar left the parkway and traveled down Alexandria Avenue, stopping at a stop sign at Fort Hunt Road. A park police cruiser pulled in front of Ghaisar’s vehicle, as at least one officer approached the Jeep with a gun drawn. As Ghaisar’s vehicle again began to move, officers started firing. After pauses, the Jeep began drifting, and police shot again. According to family lawyers, Ghaisar was shot at nine times. He was struck four times in the head, once in the wrist. D.C. Del. Eleanor Holmes Norton and Virginia congressman Don Beyer were scheduled to hold a private meeting Tuesday with U.S. Park Police Chief Robert MacLean, who canceled. Beyer said he’s curious about what the officers involved in the shooting were thinking at the time. “Why did they chase him? Why did they shoot? What danger did he present to them or to the community? These are answers we just don’t know,” he said. In January, Norton said she is proposing legislation that would mandate uniformed federal police wear body cameras and use dashcams.